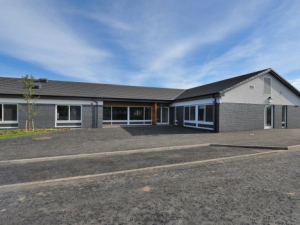 New two storey new build to provide in patient care and includes 4 secure wings and individual anti-ligature bedrooms with ensuite facilities, day/dining rooms, interview rooms, therapy rooms and gymnasium. Full traditional M&E Services including lighting, fire alarms, emergency lighting, power systems, ‘Specialist Systems’ were also included such as patient call, staff attach, induction loop system and door access/monitoring systems. All M&E systems within patient areas required specific anti-ligature requirements.